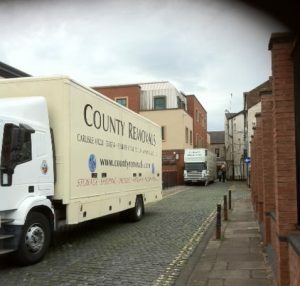 Established in 1985, County Removals Ltd are capable of carrying out any relocation in a flexible and professional manner. As full members of the British Association of Removers you can rest assured as we are members of the most influential trade association for our industry in the world. Entry is subject to strict financial, operational and facilitorial examination, all of which are continually monitored. The association’s high standards exist to protect you, the customer, and provide absolute peace of mind. 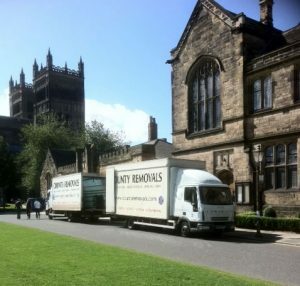 In 1996 County Removals Ltd cemented its long relationship with Bishop’s Move, the UK’s largest privately owned removal group by becoming a franchisee. This affiliation has allowed our company to increase growth with the added bonus of the support infrastructure of an organisation that has thrived since 1854. Whichever service you require you will receive the highest level of service. Our estimators are fully qualified and vastly experienced. Our manual staff are highly trained and fully uniformed. All our vehicles are fully liveried and equipped for almost every eventuality. Our fleet encompasses all sizes and types of vehicle to accommodate all types of loading restrictions and problems. We aim to use only the best quality packing materials. However we try our best to re-use and recycle re-usable packing materials where possible to fulfill our environmental obligations. We offer an extensive range of transit related insurance policies for all aspects of our business and provide free estimates for all your requirements. Our competitive pricing structure caters for all eventualities and while we may not be the cheapest we offer excellent value for money. Moving is our business ... your northern based removals and storage company - established in 1985. Whether you wish to move yourself, your staff or your offices, either locally, nationally or internationally we can help. 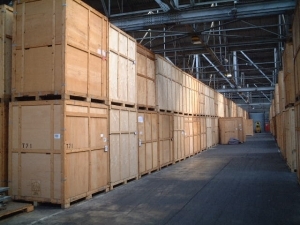 County Removals Ltd also offer extensive storage facilities for every eventuality.